This week Flipboard has rolled out a new update to their iPad application which brings with it a range of new features including Cover Stories, a popular feature that has been available in the Flipboard iOS app for the iPhone and iPhone touch for some time. The Cover Stories features enables you to view the most interesting stories from all the sources in one place, and can include images, posts, news and status updates to name a few. As you use the Flipboard application the featured posts will become more ad more relevant as the application “learns” what content you enjoy most. Other features include the addition of a third page to the apps table of contents making available 32 titles now available to view. Flipboard explains a little more about the design changes its incorporated into new version to “make the social magazine pages resemble the beauty of print design that people love so much even more than before.” That include typography overlays on photos, and full-bleed images. 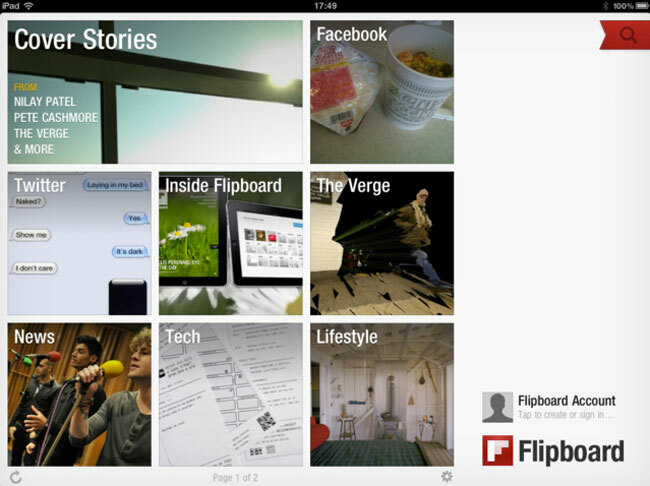 The new 1.8 version of the iOS Flipboard application is now available to download from the iTunes app store.